Digital artists and designers are likely very familiar with the grey-and-white checkerboard pattern that symbolizes the transparent background in Photoshop. 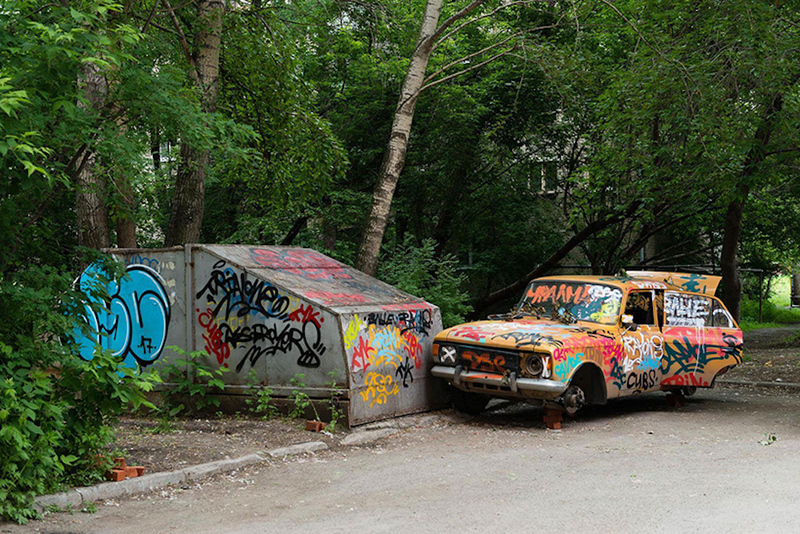 One Russian artist collective brought that effect into the real world with a piece called ‘ctrl+X.’ Created for the STENOGRAFFIA street art festival, a discarded and graffiti-covered dumpster and car were entirely painted over in the signature pattern, making it look like they’ve been photoshopped out of reality. In order to get the pattern to look just right, the artists first painted the objects white and then displayed the pattern via projector over them. Once they traced each square, they began to fill them in one at a time, creating the overall cropped-out effect. This optical illusion takes the interaction between physical and digital to a new level, showing how one can inspire the other.